I have just finished teaching at a summer school on Advanced Scientific Programming in Python. The school was a remarkable success, which I hope most of the participants can agree with. Lets wait for the survey results. 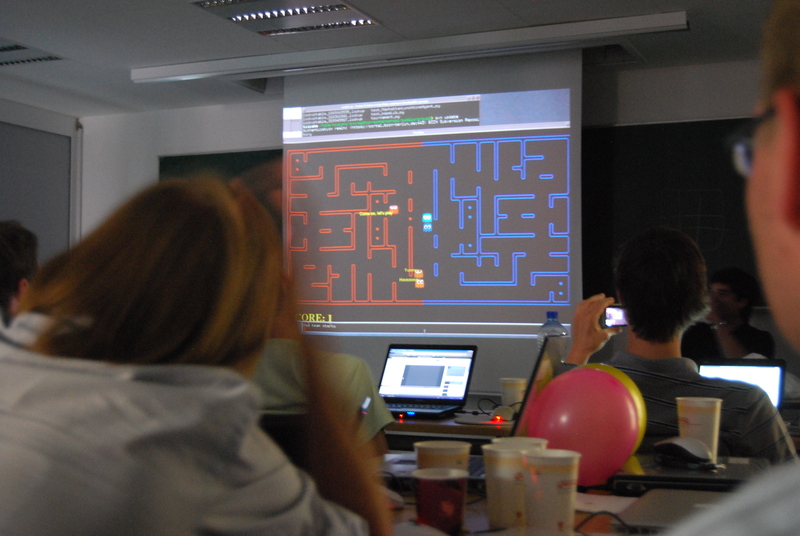 The school featured among other thing a PacMan competition. More information can be found on the school wiki.